Prior to joining the Blackhawks, he spent eight seasons as coach of the Blues and three with the Avalanche. 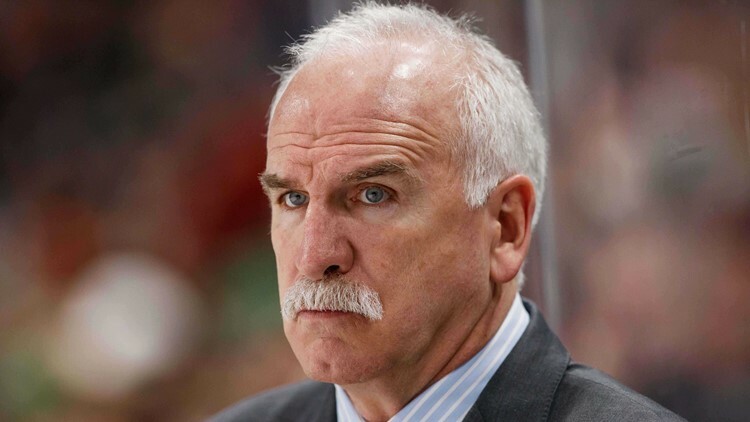 CHICAGO — For the first time since the 2007-08 season, the Chicago Blackhawks will not have Joel Quenneville behind the bench. The Blackhawks announced Tuesday the shocking decision to fire their longtime coach after a 6-6-3 start and disappointing 33-39-10 campaign last season. "This is certainly a very difficult decision. But I believe it is in the best interests of the Blackhawks organization," Blackhawks general manager Stan Bowman said in a statement. "We need to maximize each and every opportunity with our playoff goals in mind and create continued growth and development throughout our roster at the same time. After much deliberation the last several days, with great respect to what Joel has meant to the Blackhawks, we knew we had to make a change. "